Welcome to Aest Eloriel and The Border’s Resort. Together with our Border Collies, we live in the beautiful region of Hesbaye (Limburg). 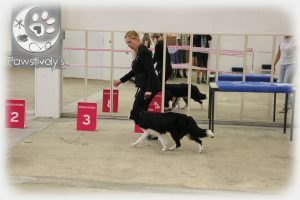 We travel across Europe with our dogs to participate in confirmation shows and enjoy spending time with them on our long walks in the fields. Occasionally, we have a litter of pedigree puppies from parents with great characters. We lovingly raise our puppies in our living room and they grow together with our other dogs in the house. All our dogs are tested for CEA / CH, CL, TNS, MDR-1, IGS, as well as hip dysplasia, shoulder dysplasia and elbow dysplasia, glaucoma and common eye diseases. 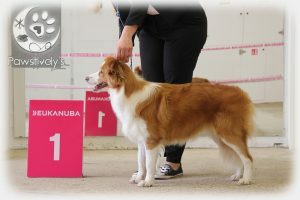 They are also raised according to the rules of the Border Collie Club of Belgium and the Royal Society Saint-Hubert. If interested in a puppy, inform us as soon as possible. On our Puppies page, you find a form so you can easily submit all the necessary information.